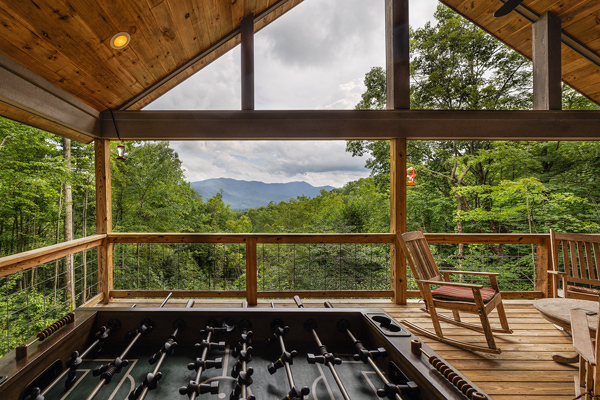 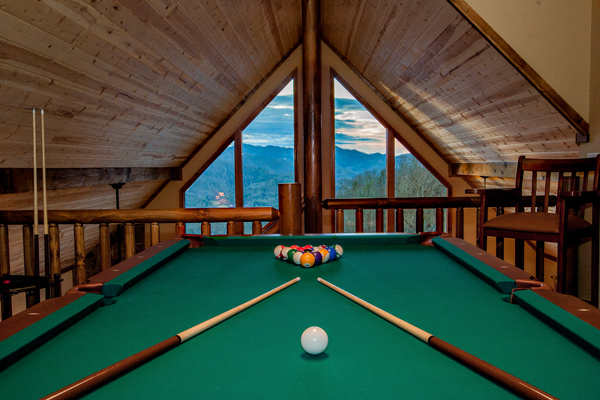 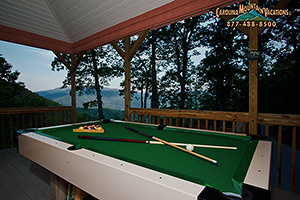 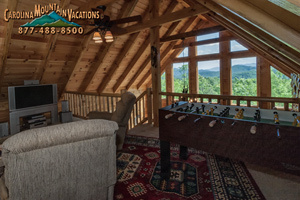 NC Mountain Rental Cabins with pool tables in the Bryson City, Cherokee, and nantahala areas. 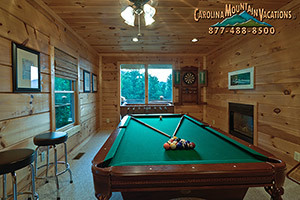 All of our cabins offer many ways to keep the family entertained on rainy days or cold nights. 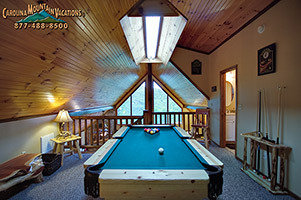 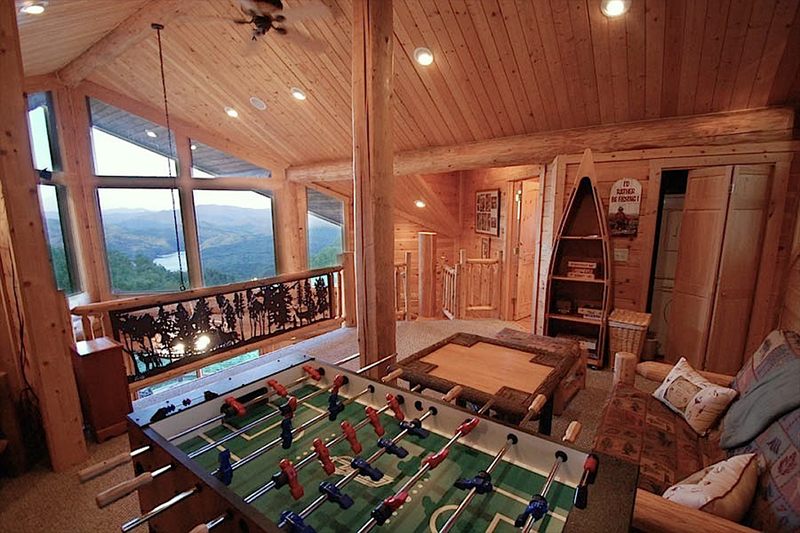 Most cabins have various board games, card games, Satellite TVs, DVDs & players. 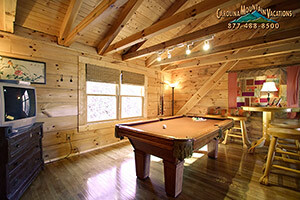 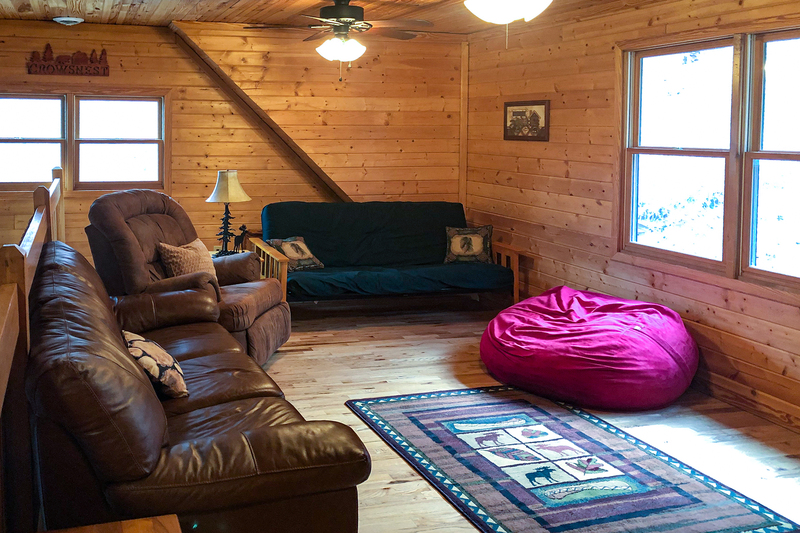 Some of our NC cabin rentals have set aside areas for game tables and other cabins even have separate game rooms. 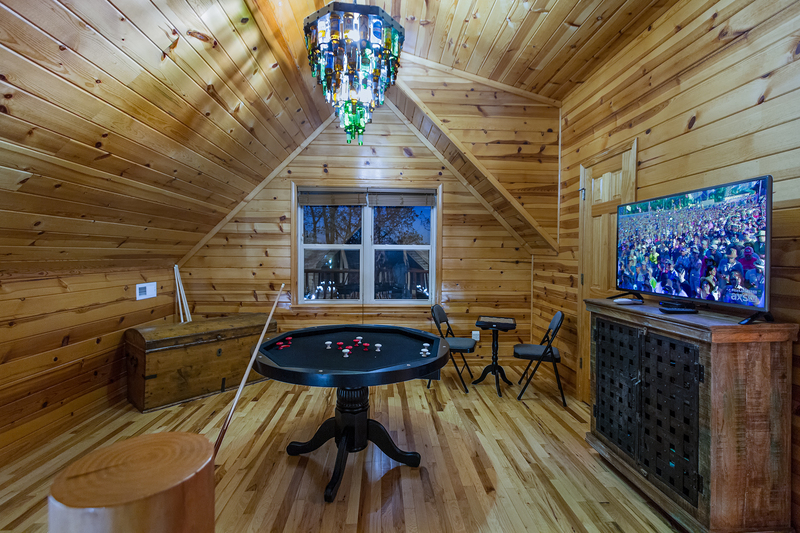 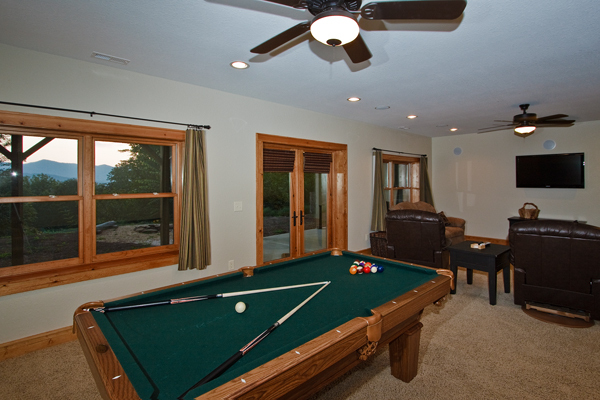 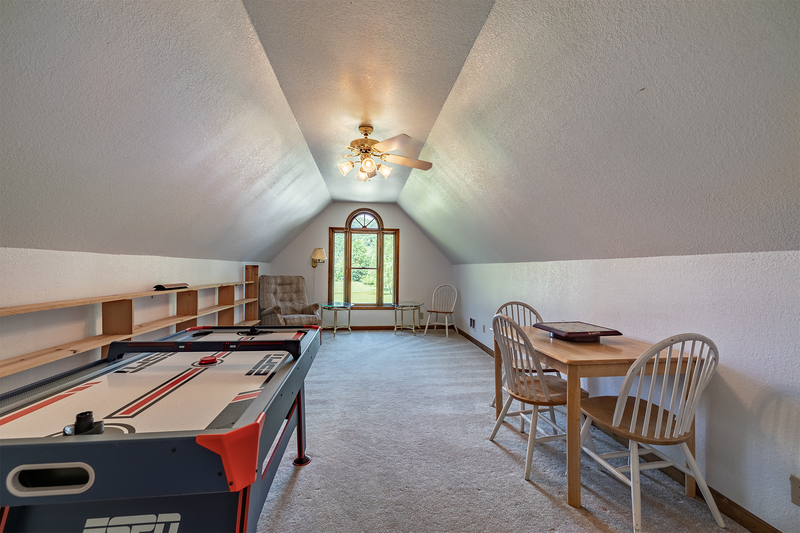 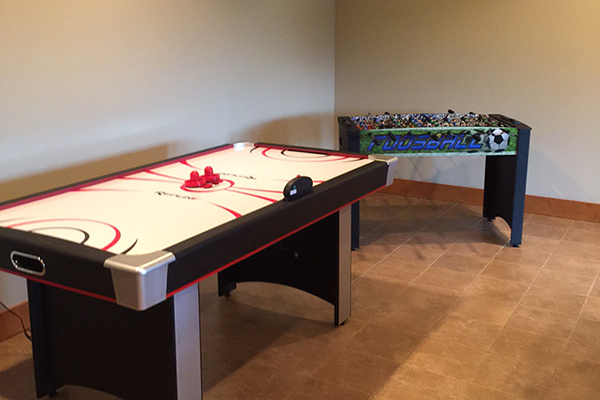 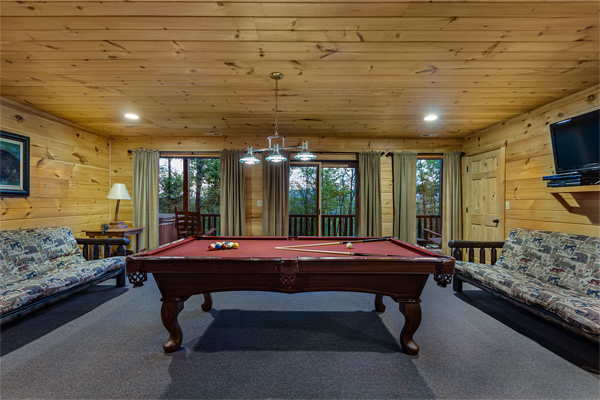 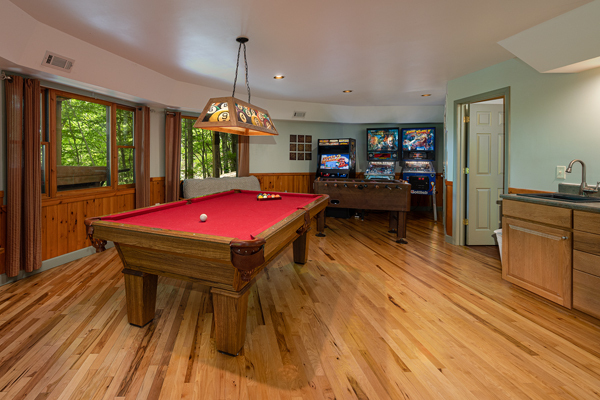 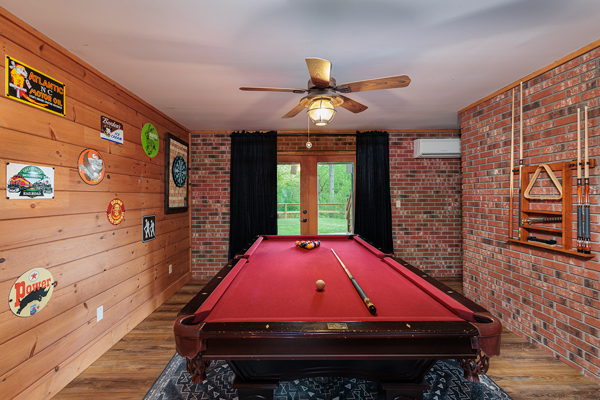 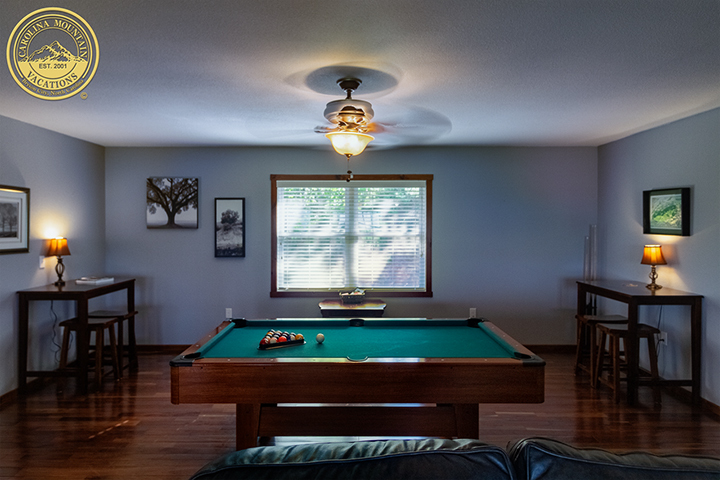 To view a cabin with a game table or separate game room click on the picture of the cabin's pool table or game room listed below. 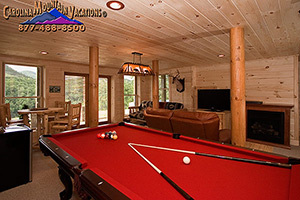 If you have any questions about any of our cabin rentals or the discounts available; please contact us. 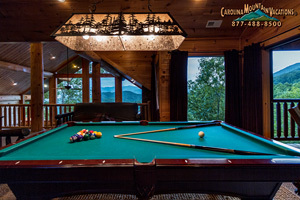 Our North Carolina Mountain cabin Rentals with game rooms are listed below according to number of bedrooms. 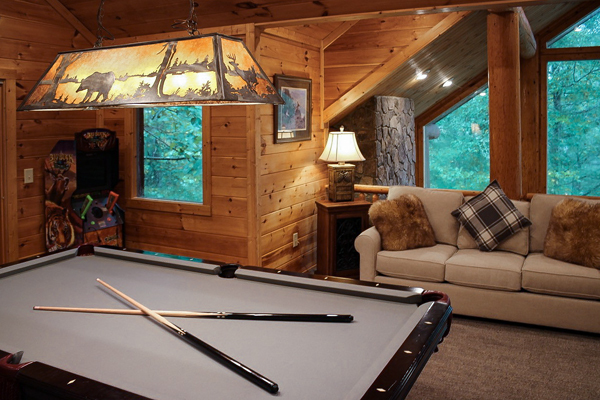 just click the icon with the number bedroom you need.